About "Friends of John Coltrane"
The Friends of John Coltrane, Inc.
Officially formed during the summer of 2009. 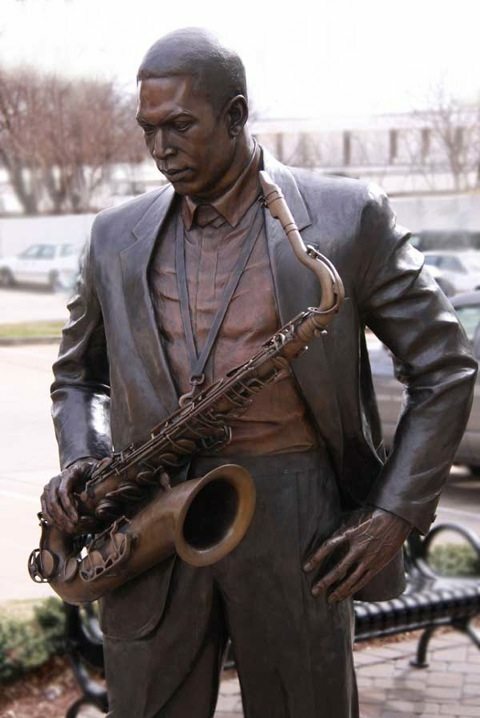 The committee is an outgrowth of the individuals who worked for several years to raise funds to commission the John Coltrane statue that was erected in 2006 along with a kiosk in 2008. In 2009 the group decided to work towards the creation of an annual International John Coltrane Jazz and Blues Festival. At that point, it was decided to file to become a 501(c)3 and begin staging events to raise money and awareness. In August 2010, the IRS recognized our organization as a 501(c)3. Visit the Events page for upcoming events. acclaimed citizens has a permanent home in downtown High Point. 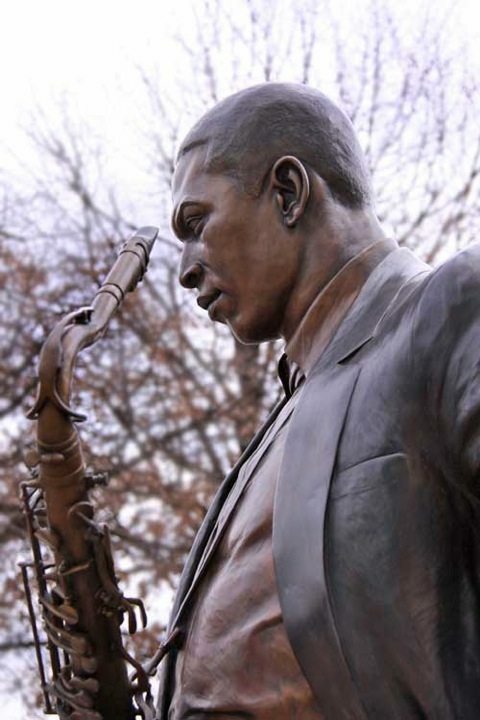 The statue honors jazz musician John Coltrane. Known internationally for his unique genre and style, Coltrane was raised on Underhill Street in High Point and attended William Penn High School. 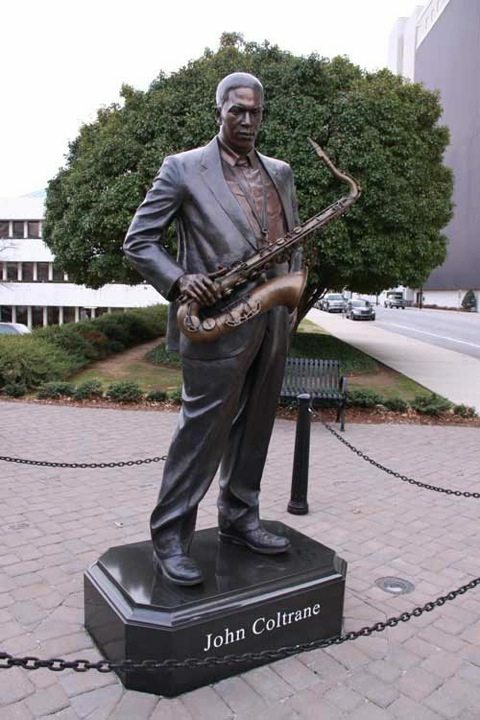 In order to properly recognize such a significant citizen of High Point, the Downtown Improvement Committee, with assistance from the High Point Museum, began working on the John Coltrane Statue project in 2004. A committee of interested citizens, including Joanna Easter, Councilwoman Bernita Sims, then President of the High Point Museum Barbara Taylor, Lisa Shankle, Aaron Clinard, Commissioner Bruce Davis and Karen Odom met on a regular basis to promote this concept and raise funds to ensure the installation of the statue. 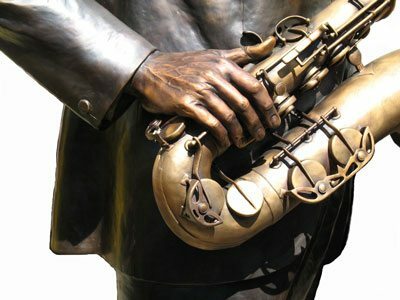 Thomas Jay Warren, once a resident of the North Carolina mountains and now of Oregon, was commissioned to sculpt the eight foot tall bronze likeness of Coltrane. 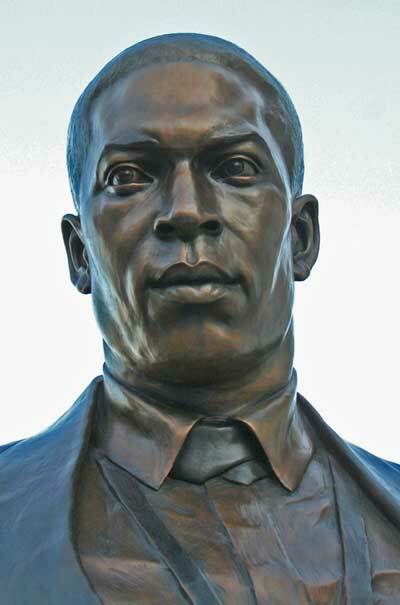 The statue is located in the northeast corner of City Hall property at the intersection of Commerce Avenue and Hamilton Street. The statue has received rave reviews from all who see it. 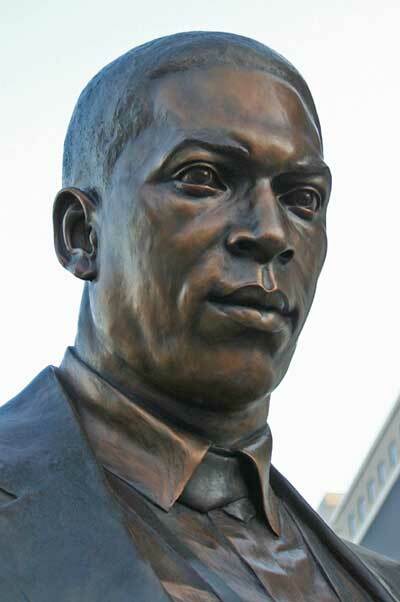 On September 20, 2006 the statue was dedicated in honor of Coltrane’s 80th birthday. Included during the unveiling was a reading from noted musician Carlos Santana who shared how much Coltrane has influenced his own music. 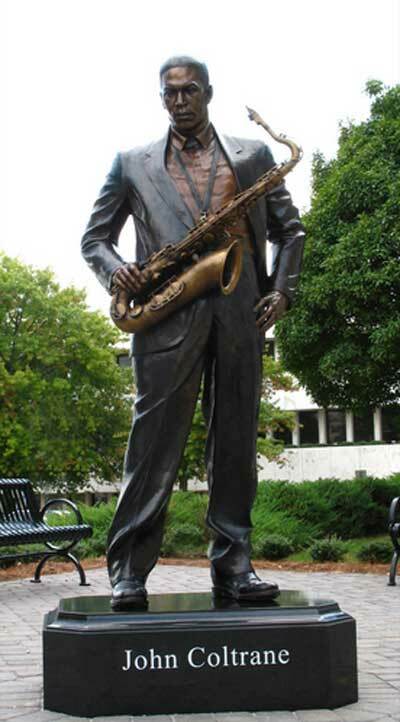 The committee continued meeting and in Spring 2009, installed a kiosk that not only gives the background history on John Coltrane’s life in High Point, but also shares with the public aspects of his music, both in word and sound.